Social gamer Zynga grabbed a lot of press lately. First the company re-upped with Facebook. Next it doubled down with Yahoo. Now the company is expanding its development operations with the purchase of Austin based Challenge Games. Challenge, which developed games like Warstorm and Ponzi was backed by Sequoia Capital and Globespan. 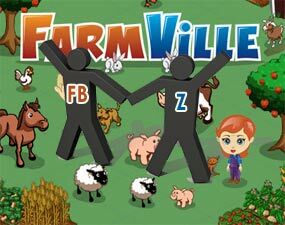 Last week Facebook and Zynga resolved their differences and signed a five year deal to expand their partnership. This week, Zynga made sure it won’t be solely dependent on Facebook’s audience to power its social games. Twitter is not the only company drawing massive investor speculation. Gaming startup OnLive announced Tuesday (9/29) that investors including Warner Brothers, Autodesk and AT&T Media Holdings had all jumped in to fund a substantial Series C financing. Details weren’t disclosed but CEO Steve Perlman said on the company’s blog that the round was the company’s largest to date. It was "much larger than our previous rounds and gives us a serious jolt of rocket fuel as our beta progresses," he wrote. 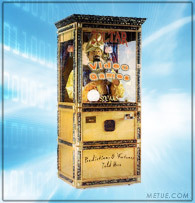 Some speculation in the market is that the valuation may have been in excess of $500m. (via Venture Beat) No telling if that’s accurate. OnLive is looking to deliver a “cloud computing” competitor to the traditional game console environment. More than seven years in the making, the company is currently beta testing its offering and looking to build out server farms necessary for their eventual commercial launch. Mickey is looking for some new ideas and the talent to develop them. He’s not scared to pay to get either. Just about a week after shelling out $4b to buy Marvel Entertainment, Disney’s dug into its acquisition coffers again, this time to snag little known game developer Wideload Games. 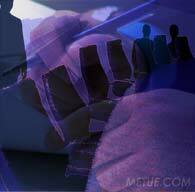 In a press release, the companies announced the deal Tuesday morning. In contrast to the Marvel purchase, the Wideload buy seems almost singularly about the people. 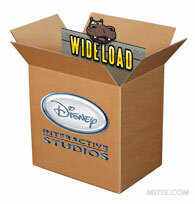 Wideload won’t be bringing a cache of known brands or readily saleable products to the Disney family. There won’t be any super heroes or arch villains to pepper story arcs or cross the media boundaries of Disney’s empire. Since being founded in 2003, Wideload has developed only a handful of games. The real characters Wideload will bring to Disney are its staff, particularly, its founder, game industry veteran, Alex Seropian. Sony and Nintendo have generally been moving in different directions, one finding success while the other floundered and restructured. Heading into the current quarter, with consumer spending weak and a strong Yen threatening margins, there were hints that might be changing (at least for the very near term). Earnings results in, it has. Both Sony and Nintendo reported Thursday and both struggled. At Nintendo, revenue fell 40% to 253b Yen. Earnings plunged 61%. 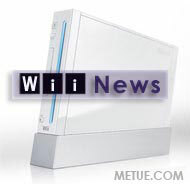 Unit sales of Nintendo’s otherwise infallible Wii fell 57% globally compared to the same period last year.